get a quote for fitted tablecloth from one of our authorised resellers. 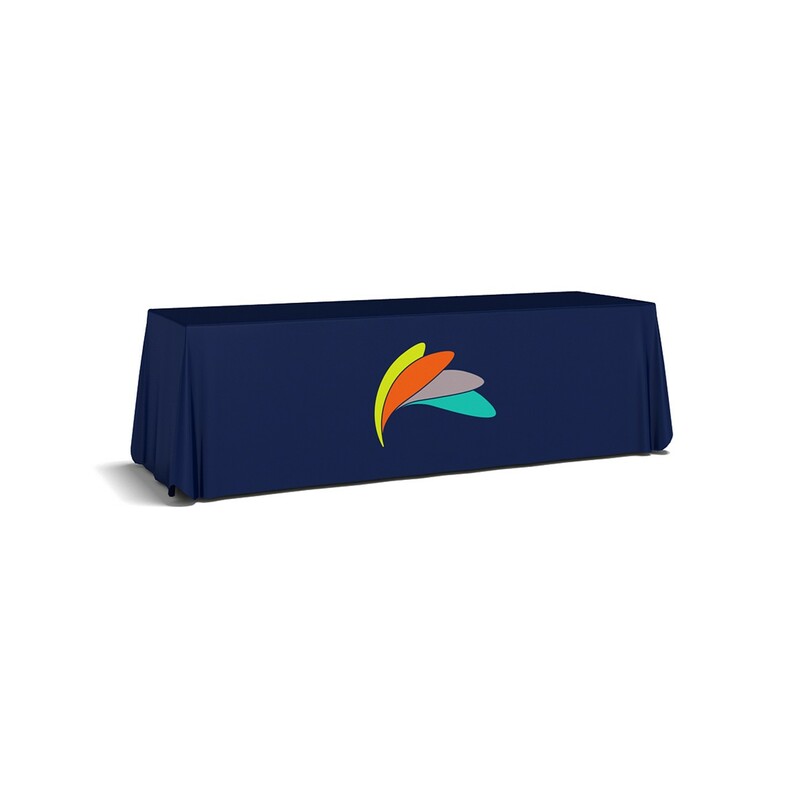 A full-colour dye-sublimated fitted branded table cloth offers an easy, lightweight option for both smaller and fixed layout events. A popular option for both those traveling offshore to table top tradeshows and smaller local food market, conference and exhibition events. With a print width of 3200mm on many substrates the dye-sublimated fabric fitted tableloths provide you with a seamless blank canvas. With trestle tables being standard the world over we cover all the standard sizes, but can customise these to suit your requirements.